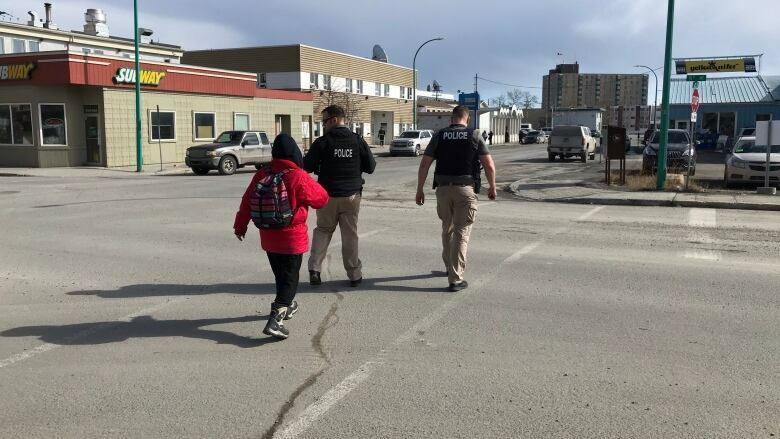 Blaming downtown violence near the new joint sobering centre and day shelter on the centre itself is a mistake, says Yellowknife mayor and a government social work director. 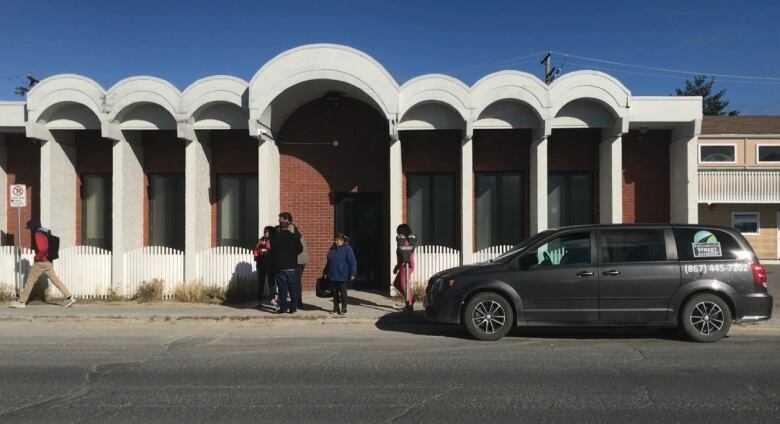 By almost every metric, Yellowknife's joint sobering centre and day shelter is working — hundreds of the city's most disadvantaged people have used the centre tens of thousands of times since it opened downtown more than six months ago. Clients access medical care, hot showers, coffee, laundry facilities and other services most take for granted. Yellowknife mayor Rebecca Alty in council chambers recently. Alty says conflating violence with the location of the joint sobering centre and day shelter is a mistake. (Alex Brockman/CBC)But the centre is steps away from the city's downtown liquor store and nestled in with commercial office space, restaurants, a motel,and other businesses. Violence and general incivility associated with the centre's client base have prompted some to question the wisdom of opening the shelter there. Rebecca Alty, Yellowknife's mayor, says conflating street violence with the centre's location is a mistake. The violence was always there — just somewhere else. "The problem was in front of the post office, and years back the problem was in Petitot Park, which is now Somba K'e [Civic Plaza]," she said in an interview. "So we can continue to move the problem or we can actually try to zoom in and address that problem of violence on the streets … it's a very complex issue." A former city councillor who voted in favour of opening the shelter at its current location recently told CBC News he regrets that decision. The owner of a neighbouring building says she fears for public safety as "acts of violence" occur near the building's front doors. Videos recently posted to Facebook showed altercations outside those front doors involving several people presumably drawn to the area because of the nearby shelter. In one video, there appeared to be a woman laid unconscious on the ground and a man crawling in the middle of the street. Punches were being thrown and a call to emergency services could be heard in the background audio. The territorial government sticks by its decision to open the centre where it is. Nathalie Nadeau, director of child family and community wellness for the N.W.T. Health and Social Services Authority, also cautions against conflating violence with the centre's location. She said bringing street violence into the light of day may spur the development of more outreach programs. "Visibility is a good thing," Nadeau said. "If this was happening in the shadow before, that's also a problem. The fact that people are … calling the RCMP, that we have more people supporting these individuals, I think that's a good thing because if it's happened before … in places where nobody was seeing them, that's not necessarily a good thing." Nadeau points out that the centre's location near the liquor store was not a strategic decision. It was a necessity for two reasons: it was the only suitable, available building whose owners were willing to lease it to the program (22 other buildings were considered); and the facility needed to be downtown, close to its user base. "We heard loud and clear from the clients accessing the centre that they would not use it if it was outside of the city centre," Nadeau said. She said the government is working on a "neighbourhood agreement" to improve communication with businesses in the area, and it's looking at other more long-term solutions, such as increased services and a managed alcohol program. In the meantime, Nadeau said RCMP have increased patrols in the area. "We can't eliminate every incident of violence," she said. "We can only put things in place to mitigate them."